Yesterday I made mention of some players on Argentina wearing Converse and then I found some pictures of the what might be the Wade 4. While those are exciting and interesting post, I simply can't over look the loss of Julius Carry. Back in the day when I was in middle school there for about a year after my Grandfather had a heart attack, we traveled every weekend to see him and help out around the house. It seemed like every Saturday Fox would show one of these 4 movies, Predator, Revenge of the Nerds, Big Trouble in Little China, and my favorite of them all was The Last Dragon. Everyone needs to see this movie at least once, but this movie is not for everyone. I am not sure how it would play for me today had I not seen it so much when I was younger, but if I find it on TV I stop whatever I am doing to watch. The Last Dragon released in 1985 and is full of all kinds of 80's wonderfulness. 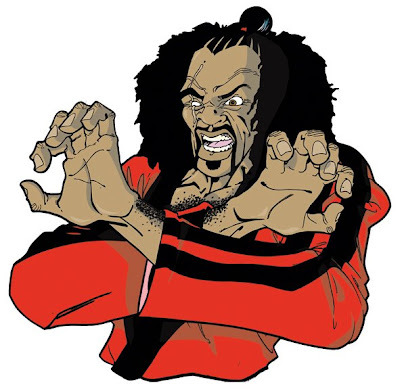 While the movie is ultimately focused on Leroy, Julius Carry's work as Sho'Nuff the Shogun of Harlem is what really makes the movie. 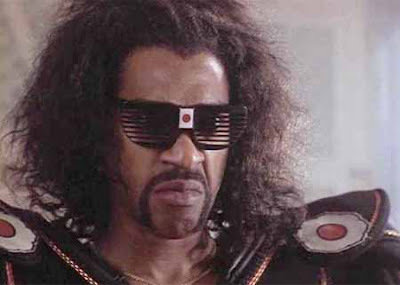 If you ask anyone about The Last Dragon, the first thing they will bring up is Sho'Nuff. Sadly, Mr. Carry lost his battle with pancreatic cancer on Tuesday, he was 56. You're probably wondering what this has to do with Converse, and if you are, then you haven't seen the movie. Without question my favorite scene is cued up below. You can find a clip of this scene and others on Youtube, but if you haven't seen the movie you should really watch the whole thing. Kiss my Converse! Thanks for checking out the blog and please remember Mr. Carry's family in their time of loss.